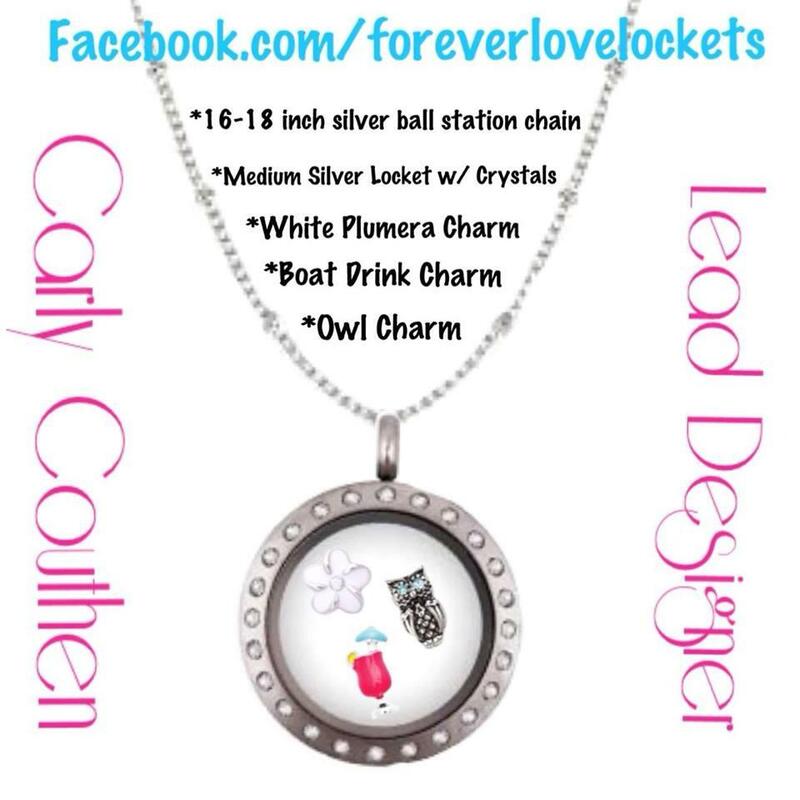 I had the wonderful opportunity to review a beautiful locket necklace with charms from Origami Owl-Carly Couthen Independent Designer. For those of you that are not familiar with Origami Owl they are a direct selling business that offers customers the ability to tell a story with their jewelry. Customers can purchase lockets and fill them with an assortment of charms and accents. Every jewelry creation serves as a reminder of who you are, where you have been, where you are going and the dreams you carry in your heart. So, look inside yourself to create fun, fashionable, meaningful jewelry that is as unique as you are. I received a medium silver crystal locket with a silver ball chain and 3 charms. Carly picked out 3 charms for me so what I received was a surprise. When I received my package, (which I may add the packaging is adorable), I was so excited! I immediately opened it to reveal its contents. It took me just a few seconds to open the locket and place the charms inside and the result was stunning! I love the way it looks and even more I love the way it can be personalized. I can see where these lockets can be addicting. I instantly put it on and felt like a million bucks! I get so many compliments while wearing this necklace, and I absolutely love how you can see each individual charm inside. I was concerned that the charms would be too small to be seen but they aren't, and the crystals on the locket are so sparkly, I love anything with bling so this is right up my alley, but if you prefer a more subtle look they offer a variety of lockets with and without crystals, and the choices of charms are endless! There are so many possibilities with these lockets, I highly suggest any jewelry lover to get one and create their own story. 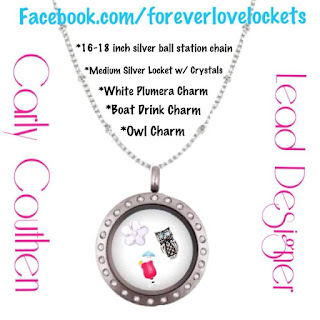 View all of the possibilities on Carly's website https://foreverlovelockets.origamiowl.com or visit her facebook page to find out how you can earn your own locket and charms for FREE by hosting a party! Enter to win your own Origami Owl Locket in an upcoming giveaway! Keep an eye out for it, the Giveaway will start August 6th!